The 1st contender is Tricia Nicole Torres who took up a care giving course. She is now working as an officer in charge of a beach resort. The next contestant is Mimi Vicini who is a graduate of BS Philosophy. She now works as a call center agent in a BPO company. Last but not the least is Precious Nagal who is a top student in her high school days and also a scholar. She is currently a business woman and a freelance model. The contenders were first instructed by the host to check their buzzers and to give 3 phrases before answering. 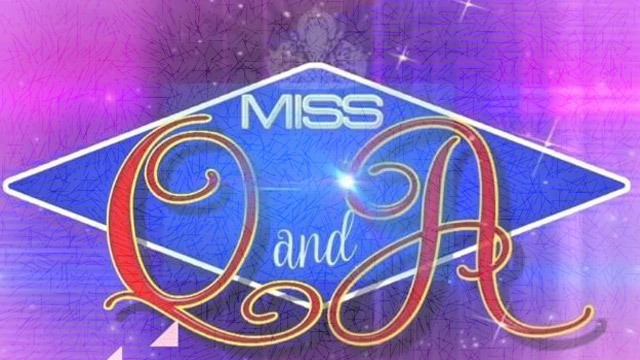 When the 1st question was asked, Mimi gave the right answer and got to advance in the next round. On the other hand, contestant’s no. 1 and 3 strive to guess the exact answer for the preceding questions. However, Tricia fortunately gave the correct answer for the 9th question and she will also advance in the 2nd round while precious is eliminated. Mimi is called and her question says; will you believe it if someone says that he or she won’t gamble again and has change but offered you to have a bet? She answered that she will be convinced as long as he or she is sincere to what he promised. Tricia is the next one to be called and her question says; how will an addict answer his phone between hi or hello? She replied that he might respond by saying hello because of his dizziness on whatever he sniffs. Based on their answers, contestant no. 2 is going to compete with the reigning queen. Mimi and Tonette were called and their question says; what is the most painful truth? The daily winner stated that she will be hurt if her love ones won’t accept on who she is especially her parents. Meanwhile, the defending winner said that if her friends will backstab her because she would rather want to hear from them the things that they don’t like about her than to compliment her. After a deliberation of judges; they have chosen Mimi as the newest queen.